Q: Can you give some information on how BorrowFlex came to be? A: The idea of BorrowFlex came to be when I was using PayPal to make an online payment for a purchase on Amazon. As you know, many major players are throwing their hats into the digital wallet and mobile wallet space. This includes PayPal, Google, Amazon, and Visa to name a few. There are also many digital payment service providers. One common hypothesis for digital wallets and digital payment service providers is that the consumers have money in their digital wallets. In the current “cash” society, it’s common for the consumers to borrow money from their friends when they run out of cash. Then it occurred to me that there is no existing solution to enable the consumers to borrow, receive the money, and make repayments all with their digital wallets. If we are moving toward a “cashless” society, then we should be able to do at least the same thing that we normally do in a “cash” society. BorrowFlex is designed to integrate the features of the digital wallets into the borrowing, lending, repayment, and management operations. This provides a seamless solution for the consumers to engage in these activities. Q: Where is BorrowFlex today and can you talk a little bit about the startup group you were accepted into? A: BorrowFlex is a new startup. After completing the IP filing, we started the heavy development and testing about six month ago. The prototype is completed and ready for demo. BorrowFlex was recently accepted into the Founder Institute accelerator program in Silicon Valley for Spring 2014. The Founder Institute is the world’s largest entrepreneur training and startup launch program, helping aspiring founders across the globe build enduring technology companies. The Founders Institute provides experienced and successful CEOs as mentors to the program participants. The growing success of the Founder Institute graduates, combined with the difficulty in completing the program and the credibility of the Mentors, make graduating from the program a prestigious accomplishment to help securing investment, close partnership deals, find co-founders, and ultimately a meaningful and enduring business. Q: How many people are utilizing BorrowFlex? A: BorrowFlex is in the demo phase, with the anticipated launch during the second quarter of 2014. A: BorrowFlex is designed to make it easy and intuitive for a borrower to obtain personal loans. At the same time, BorrowFlex is designed to protect the lenders from the borrowers not following through. A borrower can set up the borrow request by providing the basic information about how much to borrow, reason and payment information. Next, the borrower has to decide who to send the borrow request to. Each borrow request is associated with the borrower’s digital wallet information. The borrower may select one or multiple potential lenders from the borrower’s friend circle and family circle. It’s possible to import Facebook friends. The more people the borrower request is sent to, the higher the likelihood that someone will agree to help. The friends and family members may or may not be existing members of BorrowFlex. To lend money and to be able to use the management features, the potential lender will need to register. Upon receiving the borrower’s borrow request, a potential lender can select one of several options. If the potential lender decides to lend to the borrower, one option leads the potential lender to the digital wallet service provider where the potential lender can lend money to the borrower using a digital wallet. Another option allows the potential lender to suggest the borrower improving certain terms to obtain the loan from the potential lender. The management features allow the borrower to manage the borrow request while the borrower is waiting for any of the potential lenders to decide. The borrower can send a reminder to one or more of the potential lenders. The borrower can withdraw or close the borrow request to one or more of the potential lenders. Similar management features are available to the borrowers and lenders subsequent to the loan formation. This includes an option to enable a borrower to make a loan payment to the lender from the borrower’s digital wallet. All transactions related to the digital wallets are automatically reflected in the loan balance and payment schedule. 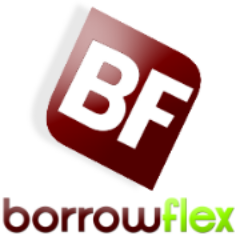 As you can see, BorrowFlex provides an end-to-end solution for friends and family borrowing and lending. The lenders and the borrowers do not have to use different services to lend or to make repayment and then manually record the activities. By integrating the features of the digital wallet into the borrowing and lending process, BorrowFlex offers convenience and speed, and enables the borrower and the lenders to engage in loan transactions without the constraints of time and place. Q: How does BorrowFlex make money from managing the borrower/lender relationship? A: BorrowFlex charges a transaction fee based on the loan amount when a loan is established. Note that we do not charge a fee when a borrow request is established. We want to encourage the borrowers to ask for help when they need help. Because these are loans between friends and family, the criteria used by the lenders may vary greatly. As such, instead of filtering out the borrow requests, we focus on guiding the borrowers to provide information and terms that protect the lenders if and when a loan is established. Further, our loan management features are available to all borrowers and lenders regardless of the loan amount. The borrowers and lenders are notified any time there is a change to the transactions that they are involved in. We provide a dashboard user interface to allow the borrowers and lenders to manage and view the details of their transactions. Because we provide the same management features to all borrowers and lenders, they are always on the same page. This helps prevent misunderstanding and protect their relationship. Q: Can you talk about the how the incentive works for lenders? Any plans to introduce interest rates as an alternative? A: Our vision is for BorrowFlex to be used in all transactions between friends and family regardless of the amount, the languages and the cultures. As such, we decide to use incentive payment instead of interest rate because the concept of incentive payment in friends and family loans has been around for a long time. It is commonly used and easy to understand in many countries. With incentive payments, the borrowers know exactly what the payments are going to be using simple math. Incentive payment in loan transaction is beneficial to the lenders because the payment is applied immediately to the total amount owed. The lenders know exactly what they get in return even when the loan is paid off earlier than originally scheduled. To make it easier, we calculate and display the percentage that the incentive payment represents as compared to the loan amount. With that said, we can certainly add the interest rate as an alternative option for the borrower to consider. Q: What are most people borrowing for and in what amounts? Are people fully funding loans for friends/family? A: BorrowFlex is a startup so the actual information is not available. Because BorrowFlex is designed to accommodate any amount, the purposes of the loans may eventually be equally distributed among the categories that we provide to our users. Q: What happens if someone fails to pay? A: BorrowFlex requires our borrowers to acknowledge the terms and condition which include a provision that the borrowers agree to (1) the lender assigning the loan to BorrowFlex in case of delinquency, (2) BorrowFlex reporting the delinquency to the credit bureau, and (3) BorrowFlex collecting from the borrower. This provision is also displayed prominently in our transaction management pages. The assigning and collection activity is initiated by the lender. We anticipate receiving the request for collection from the lenders when the amount is sufficiently large. If you have any questions for David, he will happily answer them in the comments. 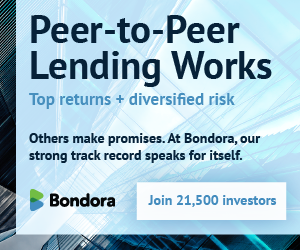 For readers that are interested I invite you to check out LendingKarma where, for the past 5 years, we’ve been doing exactly what BorrowFlex looking to do. We’ve helped thousands of customers formalize and repay over $150M worth of loans in that time. We also include electronic payments, or a “digital wallet” as mentioned here, for loan repayment. Also, we don’t take a percentage of the loan for any fees (all our fees are flat fees), including electronic payment fees.